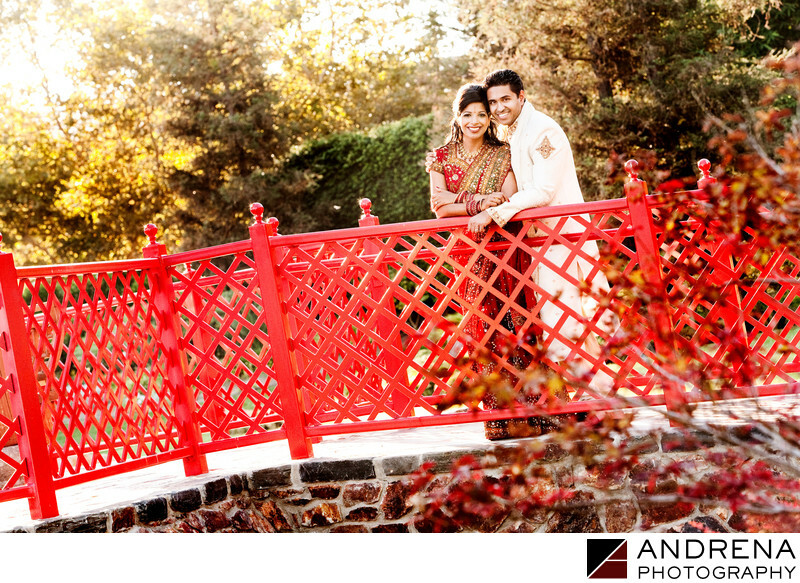 The fall foliage at the Four Seasons Westlake Village served as the perfect complement to this Indian wedding coordinated by Sonia Sharma Events. The couple's afternoon ceremony took place on the lawn in front of the hotel's waterfall, giving guests a beautiful view of endless natural surroundings. After the wedding, we walked to the other side of the property so I could create some portraits at the hotel's famed pagoda. It's a long walk, but always worth it. The reception was decked out in multiple shades of pink, with florals provided by Arsine at Shirvan Designs. Indian wedding photographed at the Four Seasons Westlake Village in Westlake Village, California.